I have been patronizing this restaurant for the past few weeks, and not a single dish ever disappointed me. I never visited it with the intention of blogging about it, but since I have become a regular there I thought it would deserve a few pictures and comments. 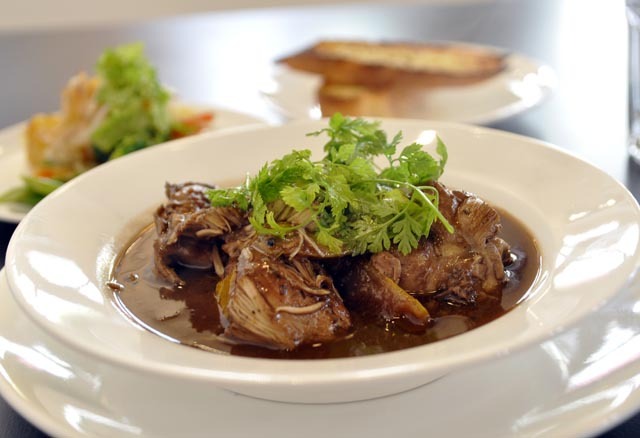 Duo Le serves authentic Shaanxi cuisine. One of a chain of three restaurants located in China, the Singapore branch opened in Orchard Central. 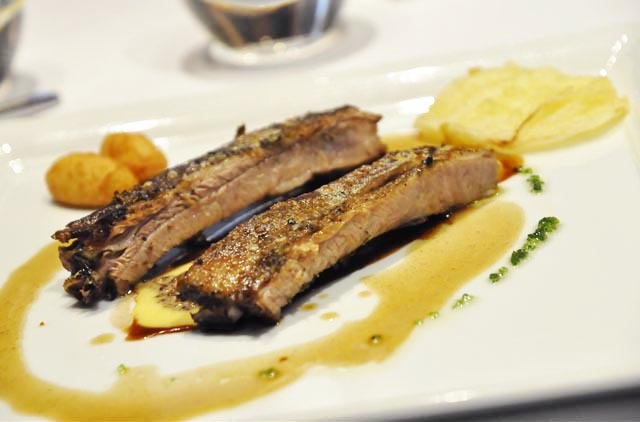 What I love about this restaurant is the attention to detail, the elegance of the dining room, the beauty of the menu, the warm and friendly service, the love for the cultural roots, the pride for creating an establishment that is not just about making money, rather the accomplishment of a deep passion. The menu is rich with beautiful pictures, an you will find yourself going through it again and again before deciding what to eat. 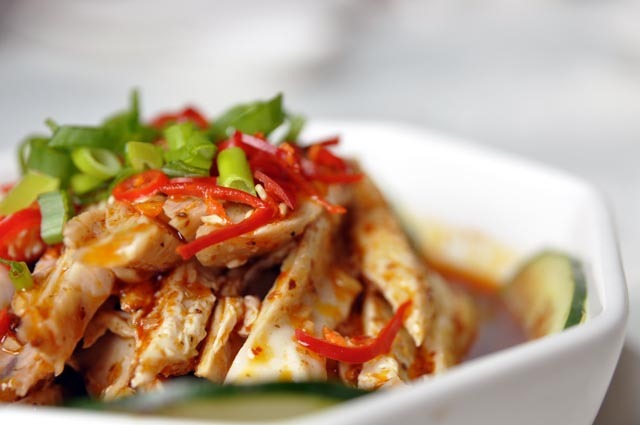 The highlights are clearly displayed, so getting the selection right the first time should not be a problem even for someone who is not too familiar with Shaanxi cuisine. Amongst the cold dishes, I would recommend the flat noodles with chilli ($6.80) and the chicken in chilli sauce ($9.80). What I love about this place is that they propose a selection that distinguishes it from the majority of Chinese restaurants in Singapore. The Dong Po pork ($28.80) is a more common dish, but Duo Le serves it in a slightly different seasoning style. 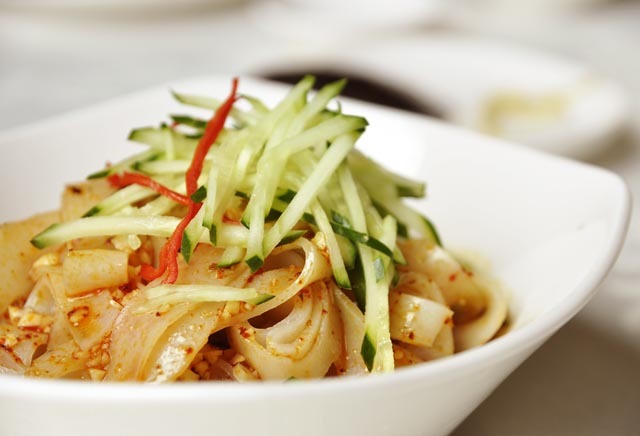 One of my favourite dishes of Chinese cuisine is Zhajiang Mian ($12.80). Duo Le makes an incredibly good version of it. 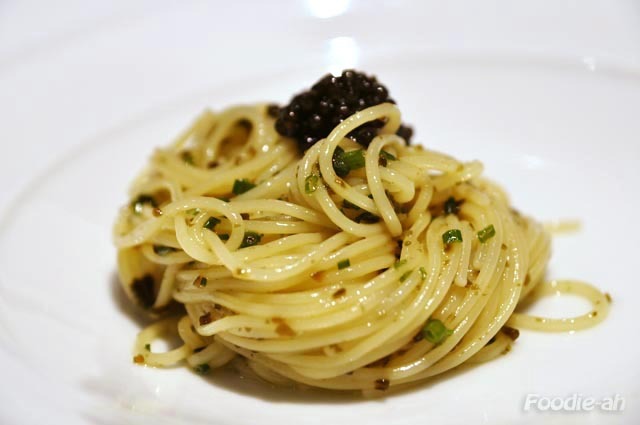 This is one of the dishes that makes me come back to this restaurant again and again! 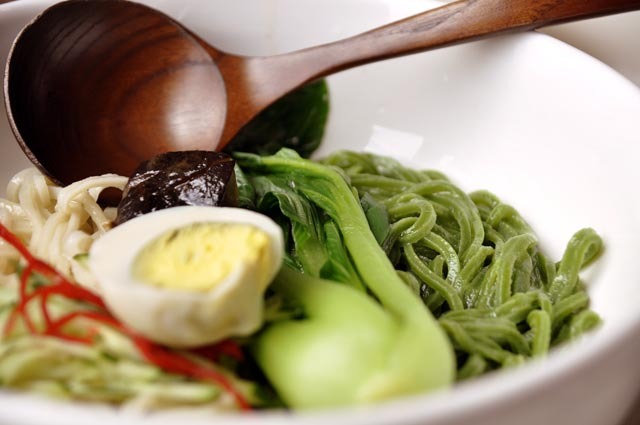 The sauce is milder than the classic style and will be appreciated by most palates, but the real highlight is the firm and springy handmade noodles! They have an impressive selection of dumplings, both vegetarian and with meat. The different fillings are not all listed on the menu, so most likely the waiter will present the different options, which some might find confusing. I tried the chives and prawns dumplings ($12.80), and I could tell how much care went into them. 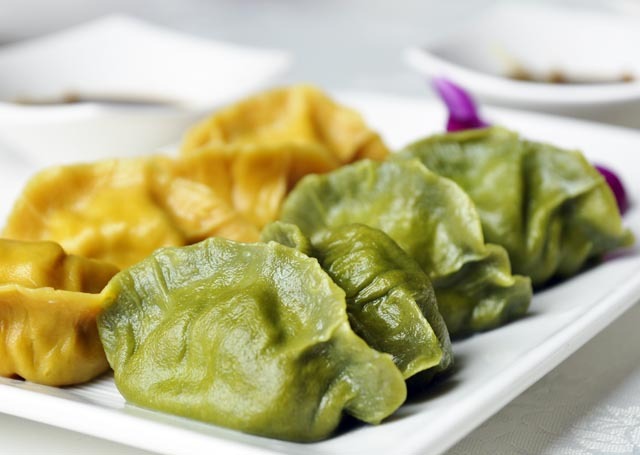 From the quality of the wrap to the attention put into the juicy filling, these dumplings are quite an experience. 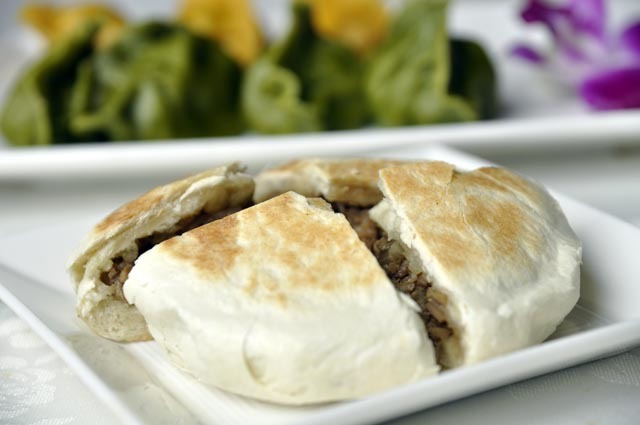 Finally, a Shaanxi all time favourite... the minced pork toasted bun ($6.80). It is fairly large in size, so I would recommend sharing it among 2-4 people. This is not to everyone's taste, but everyone should try it. 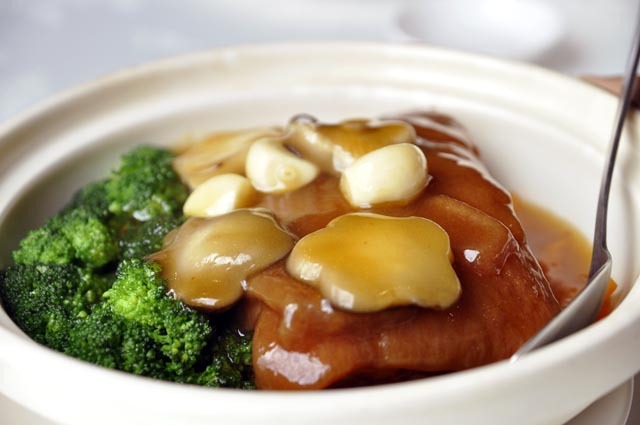 You can't try Shaanxi cuisine without giving this dish a chance! the toasted bun tastes freshly made and is fairly plain, while the pork inside compensates with a more robust set of flavours and textures, some of which are slightly crunchy. As I was coming down the escalator from the 3rd floor of Orchard Central, I spotted this outlet which looked like a jewelry shop. 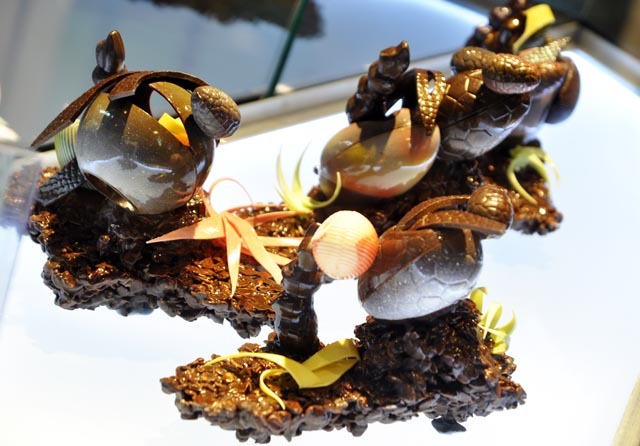 But as I got closer and closer, my interest grew as I realised that the jewels on display were ingenuous and artistic chocolate creations. 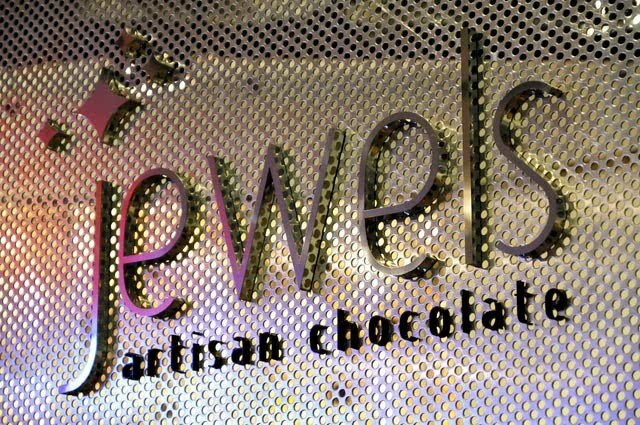 These chocolate valuables look better than real jewelry. Enclosed in glass display cabinets and lit from the bottom, they do not fail attracting the attention of the casual shoppers. Needless to say, I didn't stop just at watching the show. I was actually taken there by a couple of foodie friends who mentioned "why don't we try the chocolate place". But I certainly wasn't expecting to witness such beauty! 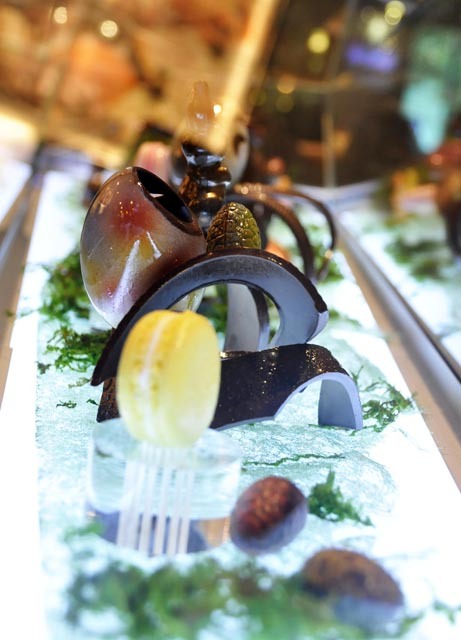 I was eager to try some of their creations - like their signature black pearls champagne truffle, called Perle Noir. Simply a masterpiece. 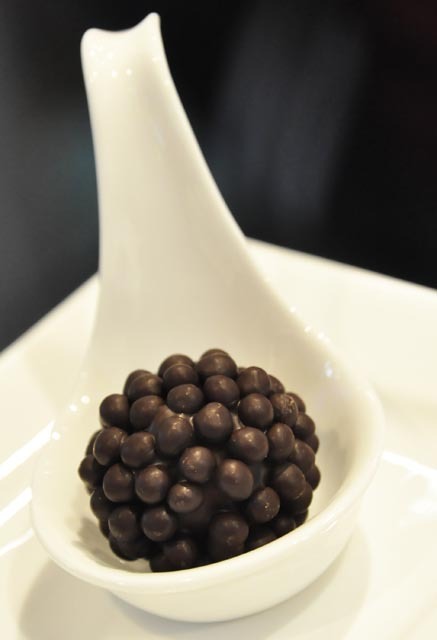 A cluster of crunchy dark chocolate pearls surrounds a smooth core of champagne truffle which does not reveal its alcoholic nature. 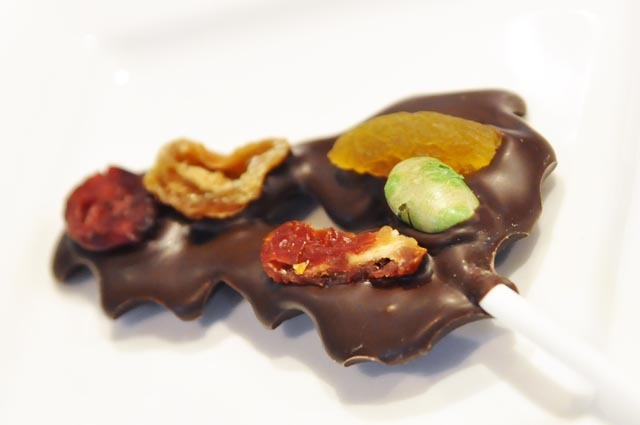 The chocolate lollipops come in different shapes, colors and flavours. Worth a try for those who like to try truly unique creations. 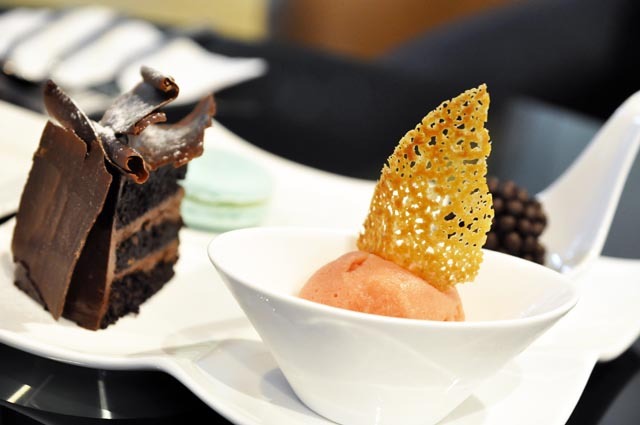 The one pictured below is actually a set, which includes the "Jewels" chocolate Gateau, a blood orange sorbet, a macaron and a "perle noir" truffle. And the grand finale... a dark chocolate lava cake with ice cream. This was by far the best chocolate lava cake I had to date. And this is also the main motivating factor that is going to bring me back to this place! 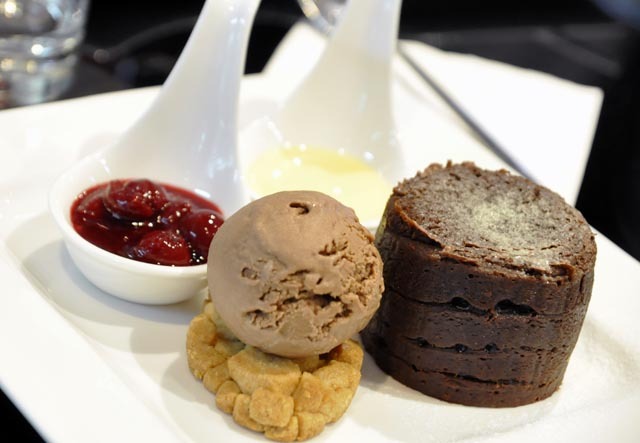 As I was savouring heavenly spoonfuls of chocolate lava, the Master Chef Chui Foong came out of the kitchen to ask if we were happy with what we had. I think our delighted faces spoke for themselves. She talked about the philosophy behind her new outlet and what she is trying to do, which I found admirable. There is real and genuine passion behind what she is doing. The determination to bring quality products to Singapore and give people a chance to taste the best, to witness how it's created by exposing the laboratory to the customers, to display innovative and artistic creations to aesthetically enhance the whole tasting experience. I truly wish good luck to this initiative, in the hope that consumers, once exposed to the best in Singapore, will appreciate the difference and set that as the benchmark going forward. I already wrote about this restaurant's lunch menu on a previous post. 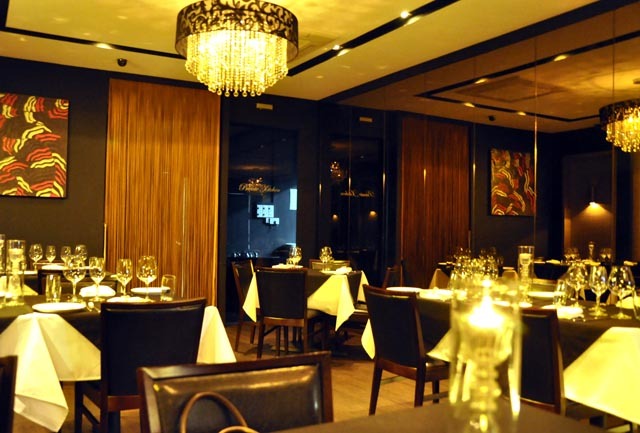 Since then, I wanted to visit Private Affairs again for a second try, given that they serve reasonably priced, good quality modern French in a relaxing ambience a walk away from home. Foodwise, this second visit was actually better than the first. 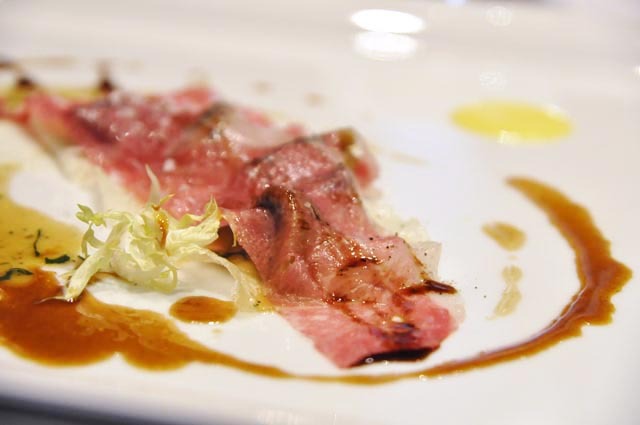 The restaurant is discretely hidden in a typical Katong shop house and yet spacious and sophisticated. The deco is very detailed, sophisticated and softly lit. The Salmon and crab cannelloni was light and delicate. 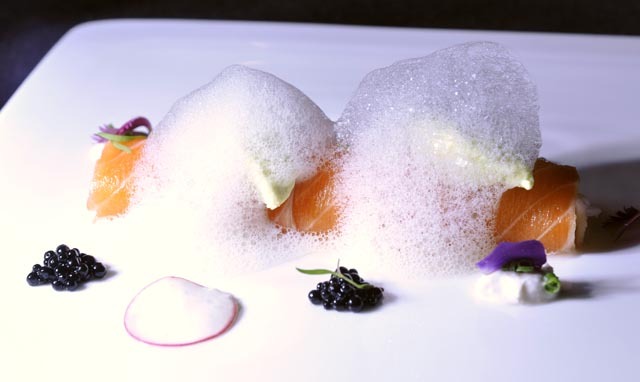 I loved the combination of squid-ink caviar with yuzu emulsion and dashes of wasabi sauce. I had the black carrot soup with open lobster ravioli at my last visit, and I decided to have it again. I actually enjoyed this more the second time round. 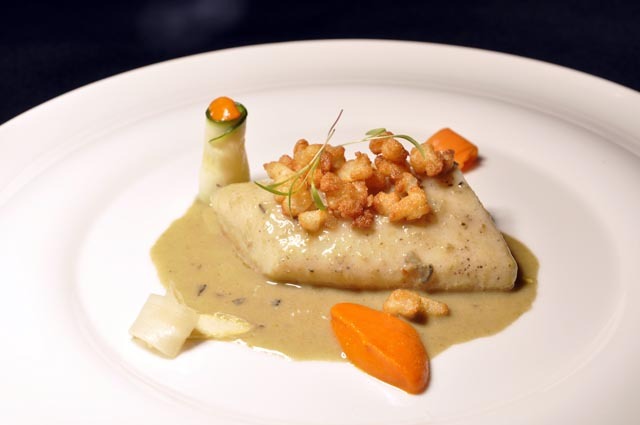 I liked the Steamed snapper with asparagus, comfit tomato puree and spatzle in smoked oyster cream sauce. 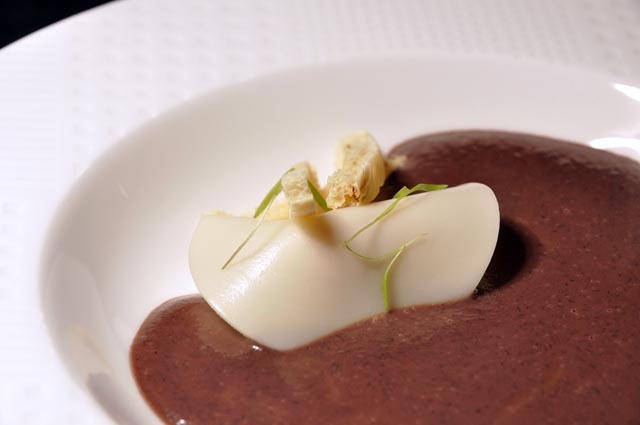 The sauce itself was the element which did bring this dish together, with its subtle smoky flavour. The lemon and raspberry meringue tart was actually not a tart. Since I am not a big fan of tarts, that might be why I liked it. 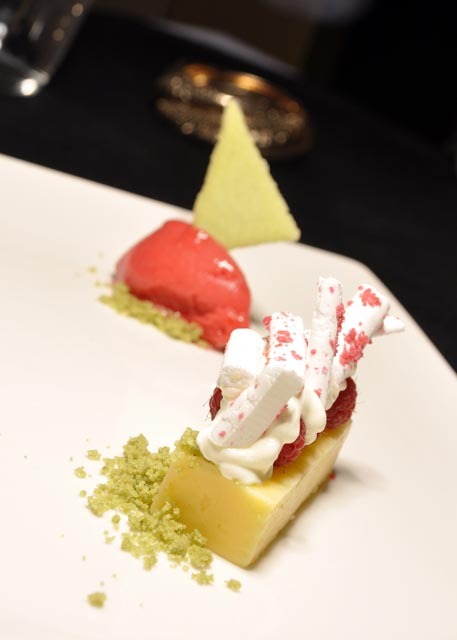 The base was soft and in-between a cheesecake and a jelly, covered with fresh raspberries, cream and crunchy meringues. Once again, I am hopeful that this restaurant will increase in popularity, since there is nothing else like it in the east. 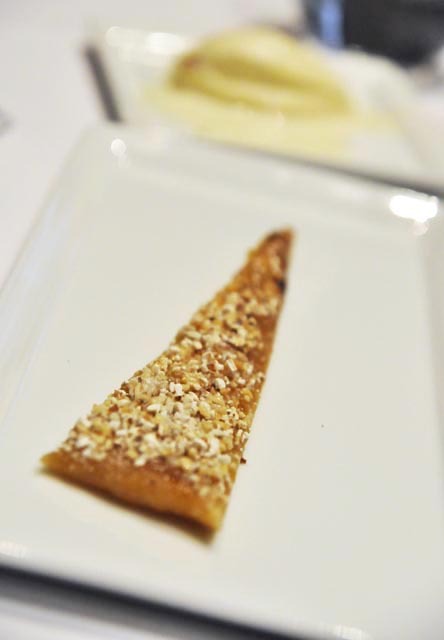 The restaurant offers privacy, food innovation and attentive service. I will be back. A surprising new discovery in the heart of Joo Chiat? This very hidden find is located on Joo Chiat road, opposite the Black Earth Art museum and it has been open for approximately 2 months. Nevertheless, nobody knows about it since its existence has not been advertised and the classic blackboard with the daily specials almost goes unnoticed. 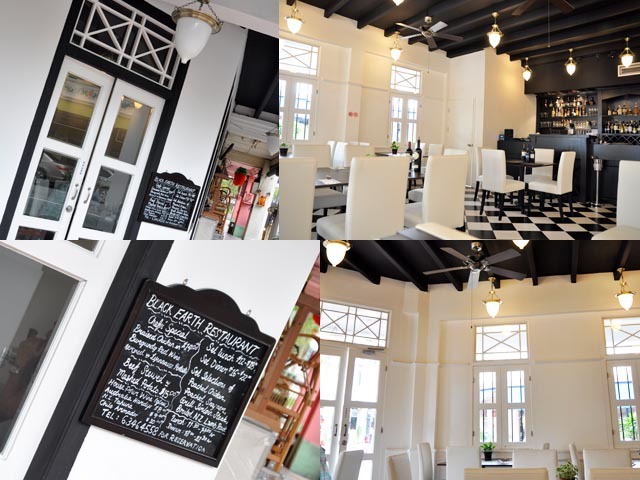 Unfortunately the combination of the two hasn't been helping its popularity, despite the fact that once you walk inside the place is beautifully decorated in a clean and classic Joo chiat style. But how about the food? Looking at the prices ($8 for a glass of wine, $8 for a salad, between $14 and $18 for a main) you wouldn't expect much... and I was pleasantly surprised. I tried the 'coq au vin', a classic French of chicken in red wine sauce, and it was absolutely phenomenal. A generous portion of meaty chicken came with bread and a plate of assorted garden vegetables and roasted potatoes, all for just $14++! 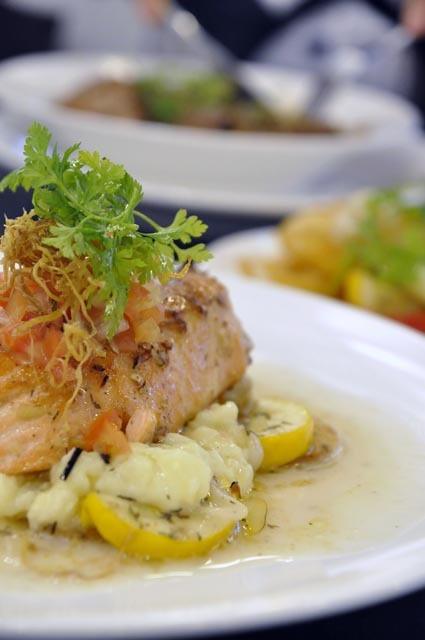 The salmon with lime sauce on a bed of yellow zucchini and mashed potatoes ($22++) was just as good. The sauce was described as 'creamy', but it was actually very light with a subtle tang. They also serve a similar red snapper dish for those who prefer white fish. The total cost for this dinner was $42 for two. 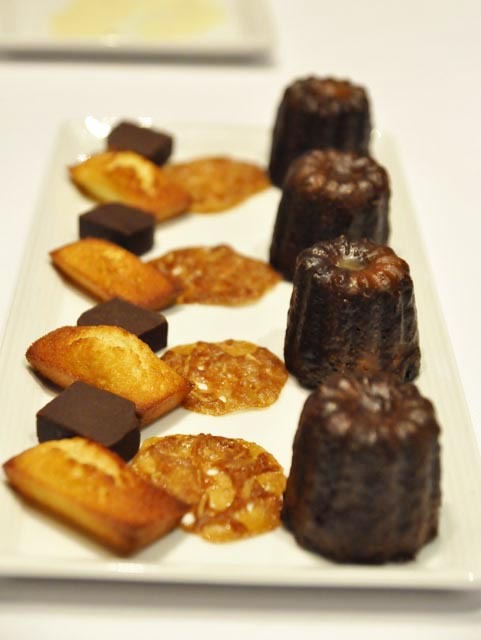 Where in Singapore can you eat properly cooked French fare in a beautifully decorated classic setting for this sort of price? It will take some time for all of the above to be resolved and the place to become successful... in the meantime, I am proud of having discovered this new gem, happy that it's located around the corner from my place, and I will certainly be back on a regular basis. Whenever I have seafood pasta, I always prefer it without tomato. I find that the tomato taste tends to be quite dominant, therefore I usually opt for olive oil based condiments to let the seafood taste emerge gracefully. I came up with this recipe to revisit the idea of seafood pasta and how it can combine with a subtle version of the classic Italian tomato flavour. Fry the vegetables with the butter until golden and add heads and bones. When the heat is back up and the bones are coloured, add the white wine and evaporate quickly. Reduce and then top up with cold weater covering all the contents of the pan. Add the herbs and reduce at low heat for about half an hour. Add the slice of lemon 5 minutes before removing from the heat, then filter with a colander and set aside. I usually prepare the fumetto in advance and freeze a few bags of it for later use. 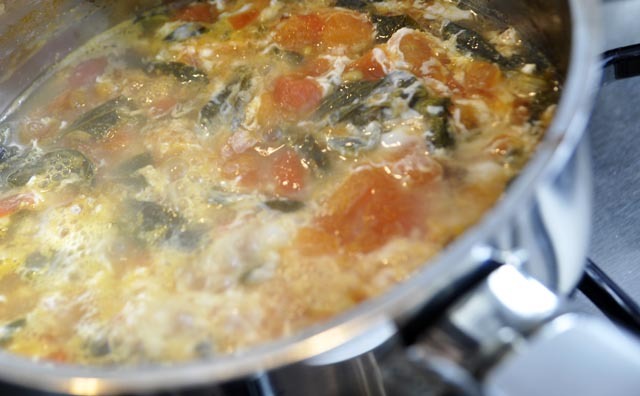 Bring the fumetto to a boil and add the chopped tomatoes and basil. 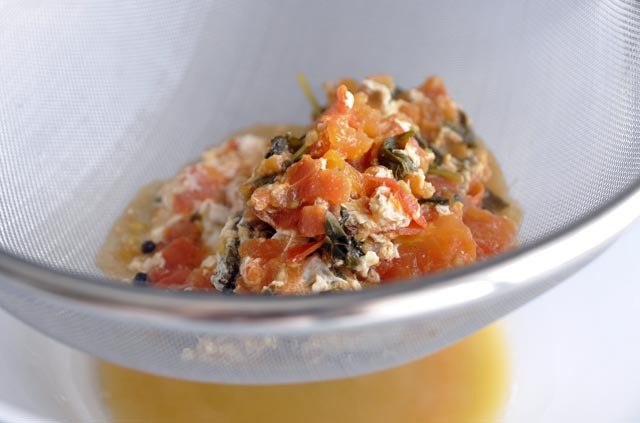 Reduce gently for about 15 minutes, then add the whites into the mixture to clarify it. Let the whites aggregate the ingredients (let it boil gently for a minute or so), then remove from the heat and pass through a fine colander. 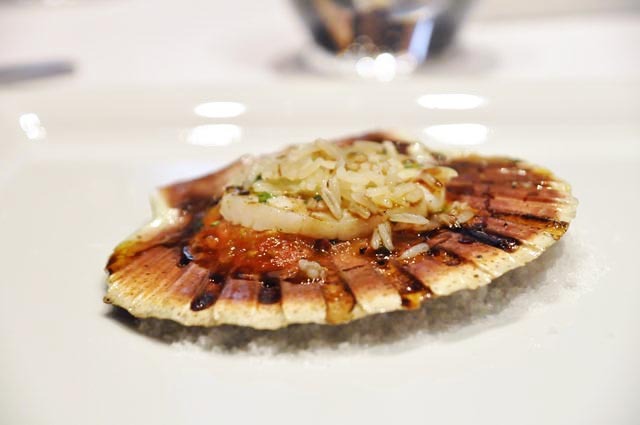 On a separate frying pan, pour some olive oil and fry the scallops, gently coated with salt, pepper and corn starch. Remove the scallops, add a couple of cloves of garlic slightly squashed and optional chilly flakes. Add the filtered stock and finally the linguine, which you will have removed from the boil 2 minutes earlier than the optimal cooking time. Complete the cooking of the linguine into the stock, then remove from the heat, add a dash of olive oil and let sit covered for 30 seconds. 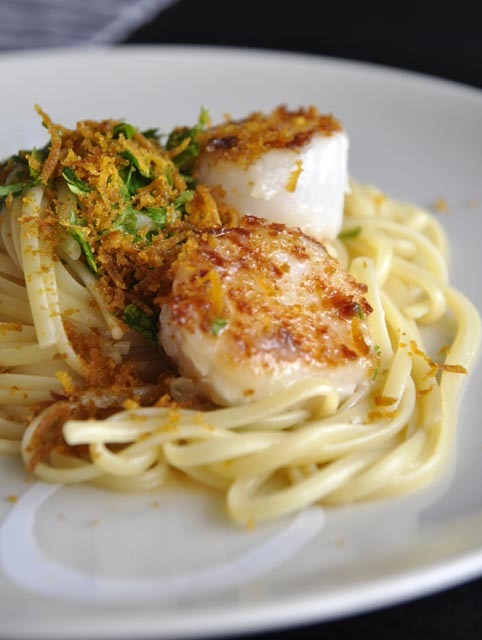 Serve the linguine with the scallops and topped with fresh chopped parsley and a sprinkle of bottarga di muggine (grey mullet bottarga).